A few weekends ago, we were at my parents’ house for Sunday supper. After her usual over-the-top spread, Mom presented several desserts. Yes, I said several. In addition to the amazing, expertly prepared Oreo cheesecake, this cobbler was something she “just threw together.” Well, y’all know what an Oreo fan I am, but I have to say, this cobbler stole the show. It is, by far, the BEST cobbler I’ve ever had. Not to mention it’s ridiculously easy! The trick here is to use a box of Jiffy Golden Yellow Cake Mix. And while it’s not always the easiest to find, our local Wal-Mart almost always has it in stock, so hopefully you can find it close too. Add peaches to a medium sized pot and add water and 1/2 cup sugar. Cook over medium-low heat until peaches are soft (10 to 15 minutes). 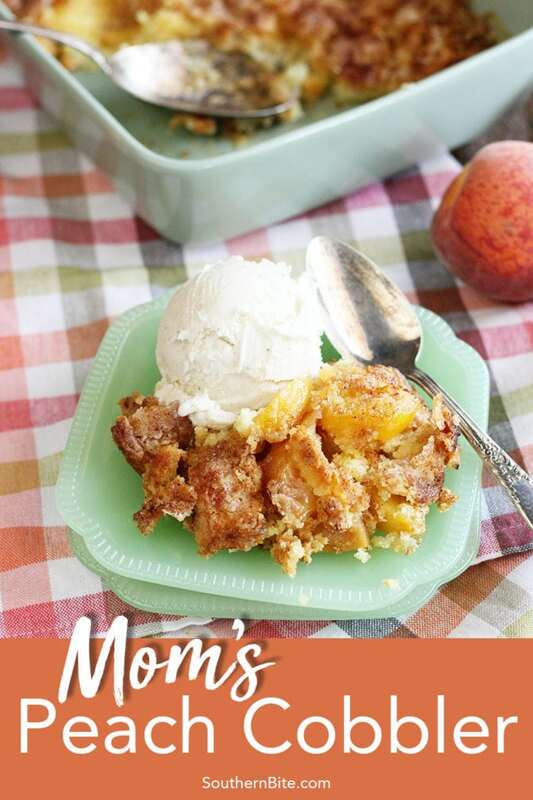 Remove from heat and strain peaches into a greased 9X13 baking dish. Add 1/2 cup of liquid remaining in pot over peaches. Sprinkle with boxed cake mix. Top cake mix with 1/4 cup sugar and 1/4 teaspoon cinnamon. 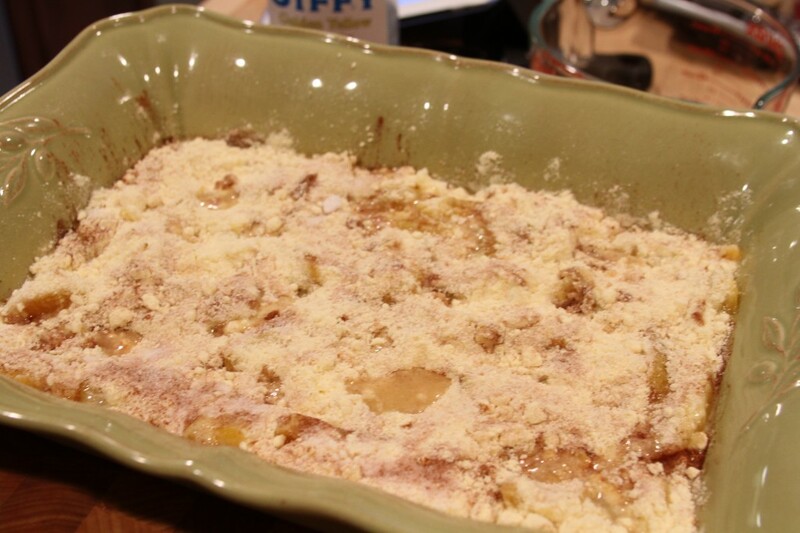 Using a butter knife, make swirls in baking dish to combine some of the dry ingredients with the peach juices below. 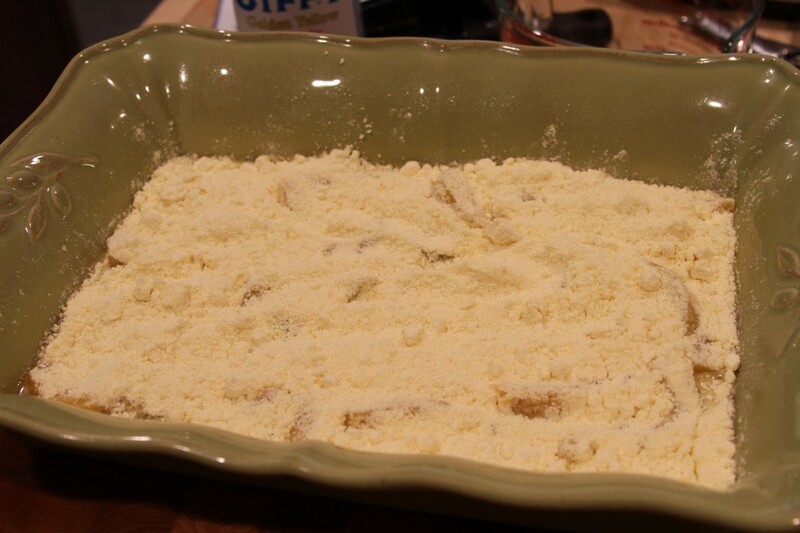 Top with 1/4 cup melted butter. Bake in a 350°F oven for 30 to 35 minutes, or until to top is golden brown and set. Peel and slice peaches. Add peaches to a medium sized pot and add water and 1/2 cup sugar. 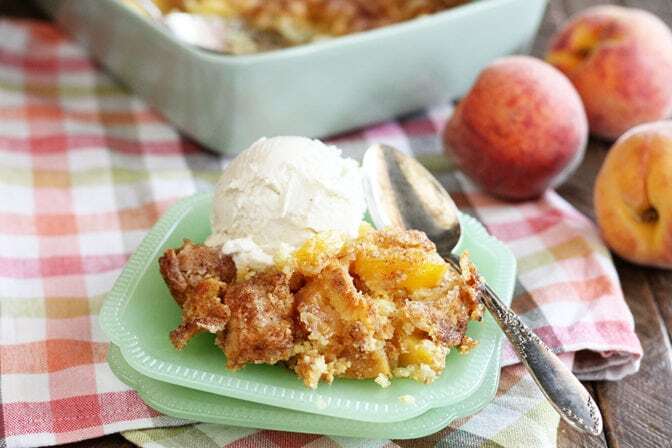 Cook over medium-low heat until peaches are soft (10 to 15 minutes). 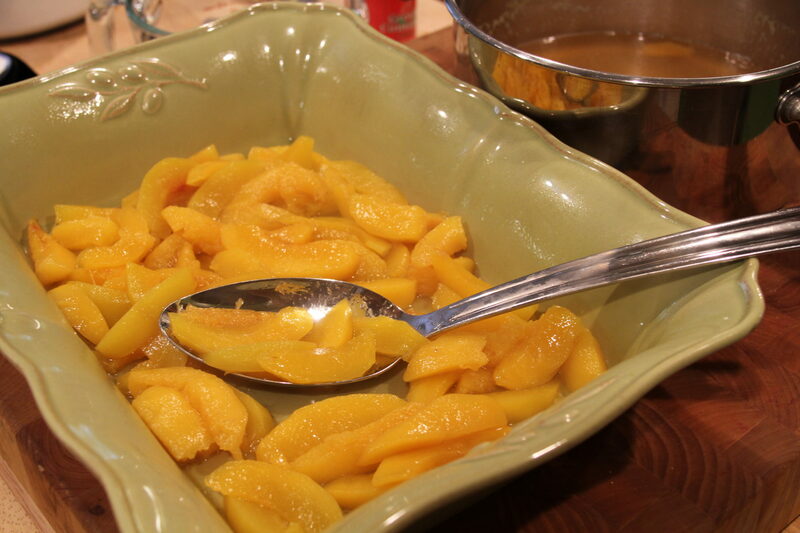 Remove from heat and strain peaches into the prepared dish. Add 1/2 cup of liquid remaining in pot over peaches. Bake for 30 to 35 minutes, or until the top is golden brown and set. This is delicious and so easy to make. I have made it also using 2 big cans of peaches in heay syrup. All my kids and grankids will eat this. 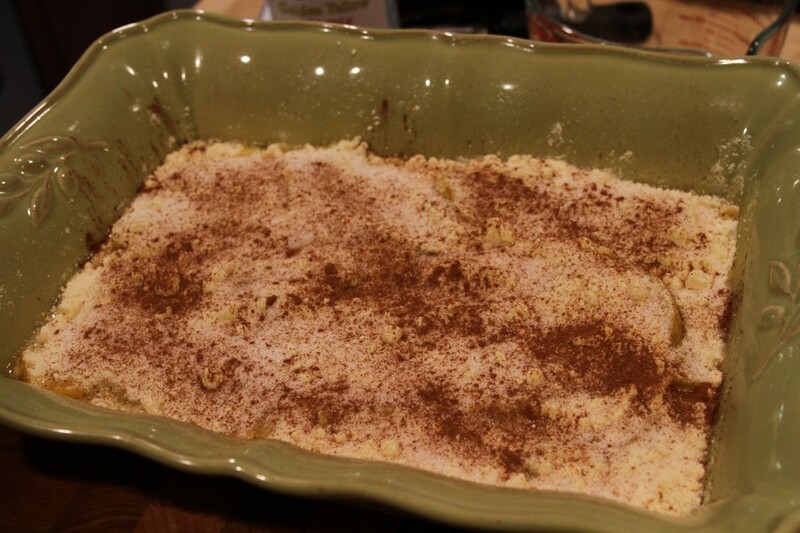 To make it extra special serve a big scoop of vanilla bean ice cream to each serving while it is still warm….yummy. Made this last nite using 2 large cans peaches on sale. Absolutely fantastic! Can’t stop eating this! Awesome, Bev! I’m so glad you enjoyed it. I LOVE it for breakfast, too! These kinds of comment thrill me to no end! Thanks so much for sharing, Jennifer. I’m so glad y’all enjoyed it! I came upon your site accidently, and I am really glad I did. I was looking for a Shrimp Creole recipe and decided to try your recipe. It looked so easy to do. The instructions that are provided makes every thing look so easy and the finish product looks simply delicious. Welcome, so glad you found me! Please let me know if you have any questions or need anything. Have you ever made this the day before you need it? If so- how was it? Yep. It’s not as good as right out of the oven, bust still very good. Some folks actually prefer it a day old. Oooooooooh boy oh boy oh boy! Too bad my monitor isn’t scratch n’ sniff! Can’t WAIT to make this! 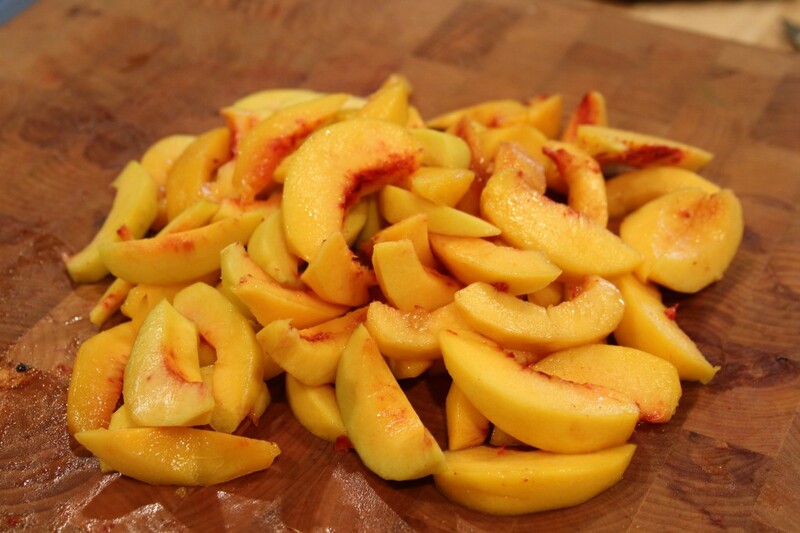 For those using canned peaches…do you drain the peaches? 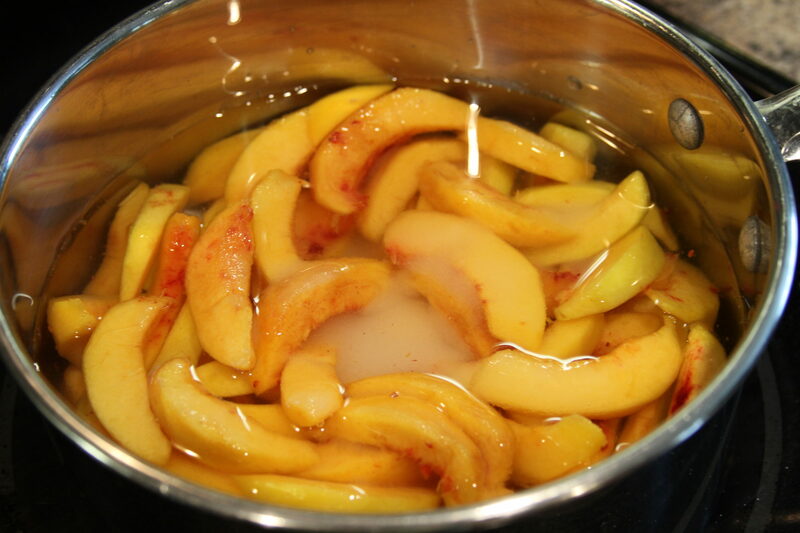 I would drain the peaches and then use 1/2 cup of the drained syrup in place of the liquid from boiling them in the recipe. Enjoy! Sprinkle with cinnamon and a few pats of butter. 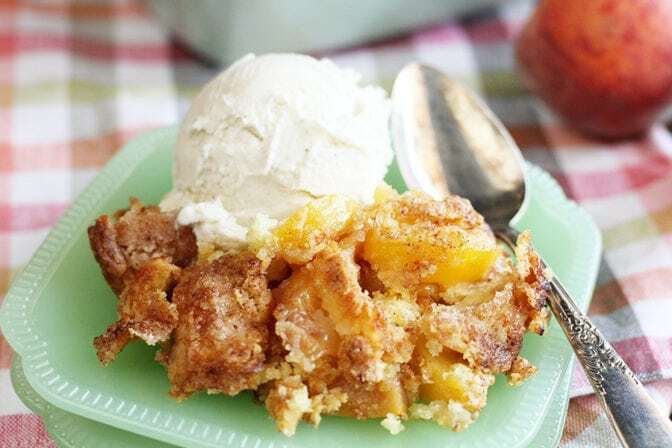 Has to cook at least an hour…a smoky strange flavor that has you coming back for another bite then another until you are hooked…delish with vanilla ice cream on top! Cub Scout and Boy Scout leaders have made this since my 53 year old was a wee Cub and way before that. Now he’s the Scout leader, making it for his son’s troop! Made this again last night for probably the 10th time! My husband and I almost wiped out the entire dish in one evening! Soooo Good!! That’s awesome, Jennifer! I’m just tickled y’all have enjoyed it so much!! It’s certainly one of my favorites! Would it be ok to substitute the white sugar for brown sugar in the topping? What can substitute for Jiffy Yellow Cake Mix? My local grocery stores don’t carry it. 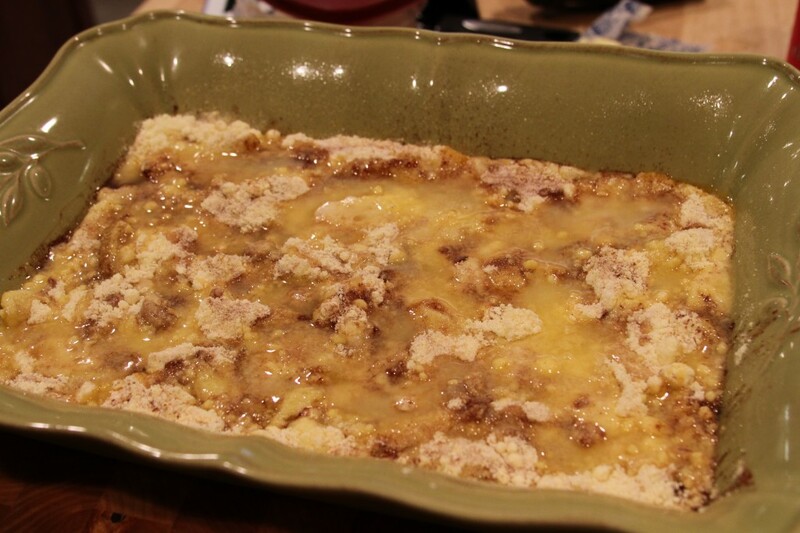 Thank you, Stacey, for updating this recipe and putting it up again on your blog. When I first saw the recipe a year or so ago, I tracked down a box of Jiffy cake mix –finally, and then, couldn’t find the recipe that used it. Hallelujah! Here it is, just in time for peach season! I sure hope you’ll enjoy it, Kay! It’s one of my absolute favs! I can’t wait for peaches to be available here in PA! My mouth is watering just from looking at the pictures. 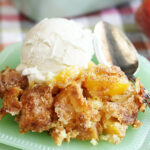 My husband loves peach pie, so I know he will love this, too. 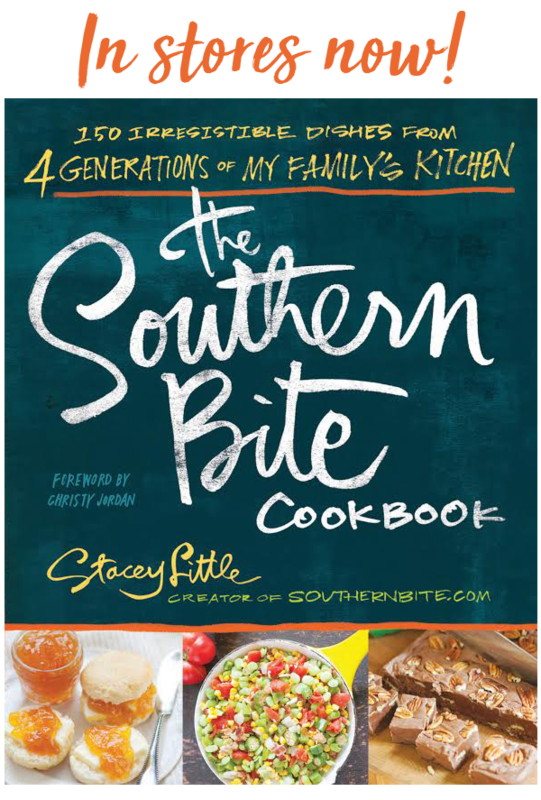 You share some of the best recipes ever!! Thanks so much, Beverly! I hope you’ll enjoy! My mom always made this. 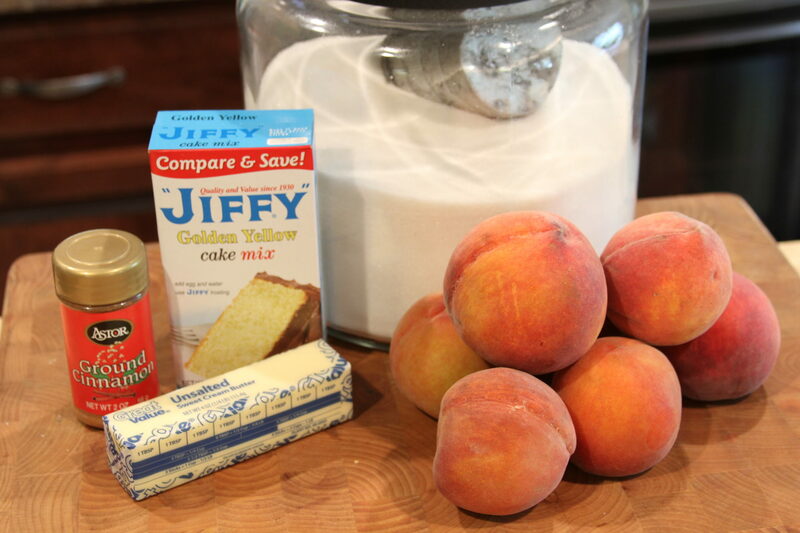 She mixed up the Jiffy Cake mix first, and put it in the bottom of a glass dish, then dumped the peaches on top of the cake mix. As it baked, the crust rose to the top. It was always AMAZING! Can I bake ahead and freezer? Stacey, would you boil frozen peaches, or just let them thaw and then treat them as if they were canned? I don’t want to soften them up so much they turn to mush. This sounds so wonderful I can’t wait to try it. I think I might just cook them until thawed and tender – that way you’ll still have the juice to use. Hey Stacey ! 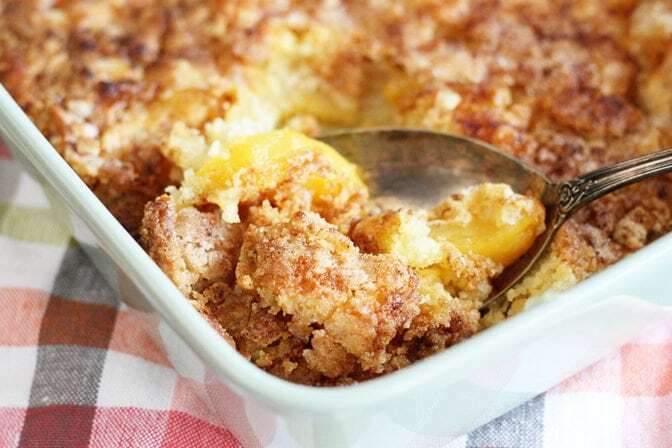 Just made the cobbler for Fathers Day tomorrow , looks delicious , can’t wait ! 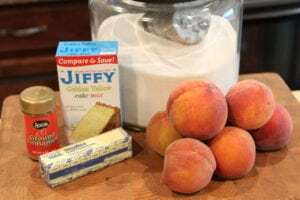 I’ve made my family’s peach cobbler recipe for over 40 years but was intrigued by this one’s use of Jiffy cake mix, which I use in lots of different recipes. Made it today and we really enjoyed it. Cooking the peaches made it extra juicy & the topping had a great crunch. 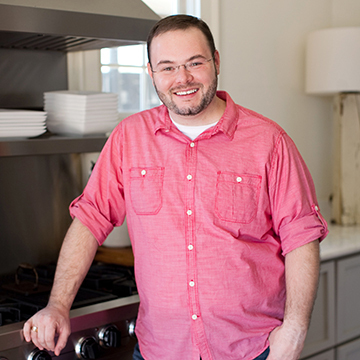 You can teach an old and/or experienced cook new tricks! Thanks! Ha! I’m so glad you enjoyed it! Oh my, my mouth is watering! Can I use a cornbread mix too? Or use a regular yellow cake mix? Thank you. A regular boxed cake mix will work, but the regular mixes are larger. I’ve not tried cornbread mix.